It amazes me every time I read about the amount of plastic bottles that are used in the United States. At the warehouse club stores, you see people buying them by the case. In 2009, American consumers recycled 2.3 billion pounds of plastic bottles. Yep, you read that right: billion. At first glance it sounds like we’re doing something good overall, but 3 out of 4 purchased single-use drink bottles are thrown out rather than recycled. Doesn’t that make you wonder about the amount of plastic we are constantly introducing into our world? Aside from the whole discussion about BPA in plastics, there are many concerns with the production and disposal. Oil is used to create plastic bottles. Ick. At the end of their lives, plastic bottles pollute our beaches and our water. In fact, ten percent of the plastic produced every year worldwide winds up in the ocean. Of the amount in the ocean, 70% finds its way to the ocean floor, where it will likely never degrade. As someone who loves and appreciates the beach and the ocean, I find that intensely depressing. All that, and the water contained in the purchased plastic bottles is not that much cleaner that what you get out of a tap. In fact, it is often less-regulated that tap water. 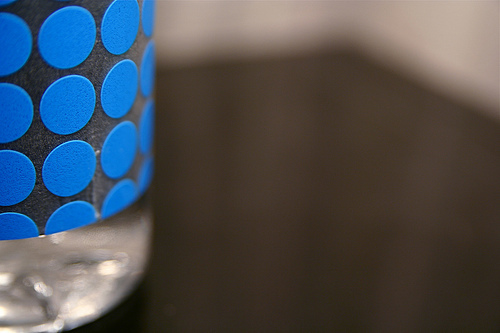 The Environmental Working Group says the quality of bottled water cannot be trusted. So why are we obsessed with bottled water in this country? In college, I had the wonderful opportunity to hear Julia Butterfly Hill speak. She (and her story) are incredibly inspiring. I looked for a takeaway from her speech (I’m not the type of person who would live in a tree or chain myself to something), and I remember specifically that she mentioned replacing plastic bottles with a reusable one as one of the easiest contributions an individual can make toward eco-consciousness. I took her advice to heart and began carrying only reusable bottles from that day forward. I now have a collection. The best thing about them? They last forever. I have bottles I purchased over 5 years ago that I still use on a daily basis. They’ve been lugged around, dropped, rolled away, etc and most are able to take the abuse. I have one on the counter at home, one in the car, and one at work. I have a small one I carry when I go out. It’s easily refillable, so if I run low I just need to find a tap or a water fountain for a quick refill. 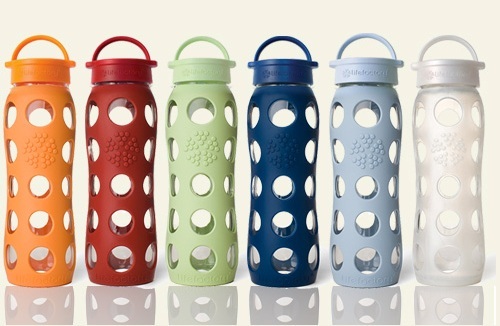 Don’t want to spend money on a reusable bottle? A canning jar works just fine, or a re-purposed glass bottle. Anything you can easily carry that will reduce the need for purchasing a bottle of water. A small daily change that can potentially have a huge green impact. Do you have other easy eco-tips to share?